Any girlfriend whose boyfriend's 18th birthday is approaching faces an element of stress. This is a special birthday for any young man; as a girlfriend, you might want to do something extra special. Several gift ideas make perfect 18th birthday presents and will help you ensure he feels special on his big day. Celebrate his coming to adulthood by taking a road trip to a nearby town. If you're both still in high school, consider traveling to the university he is considering attending in the fall. This special weekend away can be an ideal way to celebrate his becoming a man and will let him know how much you care about him. 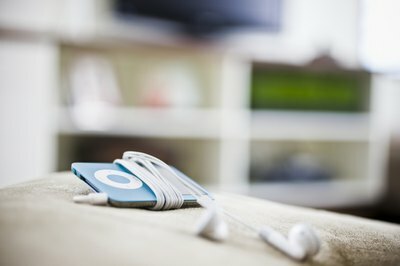 Give your boyfriend an MP3 player, and load it up with all the songs that make you think of him, along with other songs you know are his favorites. Turning this electronic gift into something personal will make it a gift he will never forget. To celebrate his coming into adulthood, make him a gift basket with items only someone 18 years or older can enjoy. Include in this basket several fun scratch-off lottery tickets and a couple of cigars. Fill the gift basket with some of his favorite things, such as favorite candy or a gift card to a place where he likes to shop. This gift basket will help him enjoy all those things he's been waiting to do when he turns 18. Customized shoes are a gift no 18-year-old boyfriend can ignore. 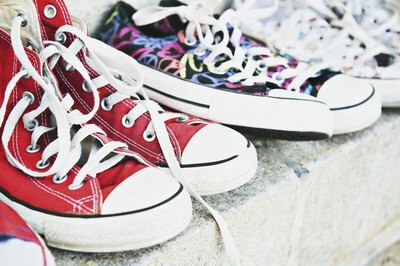 Create a pair of Converse Chuck Taylors online (see link in Resources section)in his favorite colors, or perhaps in the colors of a favorite team or university. Let him know when he opens this one-of-a-kind present that he is the only person to own a pair of these special, custom shoes. He'll be impressed with the time, effort and thought put into this present for his 18th birthday.